Notify the following that apply to the decedent: Social Security office, IRS, banks, retirement companies, investment companies, employers, etc. File Inventory, Appraisement and List of Claims within 90 days of qualification date. Your attorney will provide you with this form to complete and then the attorney will file the Inventory. Publish a notice with the local newspaper to any unknown creditors of the estate, within one month of your appointment. The attorney will usually do this for you. Give written notice to all beneficiaries named in the will within one month of being appointed. You will then need to file a statement of compliance with the Court. The attorney will usually prepare these forms for you. Give written notice by registered mail to holders of real estate liens against Estate property within two months of appointment. Give written notice to all known unsecured creditor’s explaining they have four months to file a claim. If a notice of claim is filed with the court within four months, you can either do nothing and the claim is deemed denied within 30 days or you can send letter denying claim. Once claim is denied, creditor has 90 days to file a litigation case or his case is forever barred. You should not pay any claims to any creditors until this step is completed and you have consulted with your attorney. 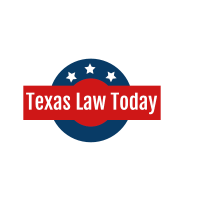 Give the State of Texas notice of death, but only if the deceased received Medicare financial assistance from the State for such benefits as nursing home or residential care facilities. Liquidate all assets of the estate, sell real property, etc. unless other arrangements have been made between the heirs. Place all Estate funds in insured accounts in the name of the Estate. Retain in a checking account only such funds as are reasonably necessary to pay the debts of the Decedent and the expenses of administering the Estate. Place all additional funds in interest bearing accounts at the highest interest rate available. The bank will require you to have a Tax Identification Number for the decedent’s estate to change the bank account ownership into your name as Executor, so you can go to IRS.gov to obtain an Estate Tax Identification Number or my office can assist you with obtaining this TIN. Preserve, protect and insure, if insurable, all non‑cash assets of the Estate. Maintain an accurate record of all expenditures and receipts of the Estate, regardless of how long the estate remains open. Keeping good records will help you in the long run if a creditor or beneficiary questions your actions as Executor/Administrator. It will also protect you in the long run in explaining your actions to the beneficiaries or heirs. Make arrangements to dispose of or sell all personal property, utilizing estate sale or distributing items to beneficiaries. Hold an estate sale if necessary and sell off any vehicles, or other titled property as necessary. Make arrangements with realtor to sell real property, if necessary. The attorney should review all contracts for you. Pay funeral expenses and expenses of last sickness, before paying anyone. Reimburse any party who has already paid these expenses. Pay court costs, attorney fees and expenses incurred. Pay only creditors who have made a proper claim against the estate. Pay all delinquent child support and child support arrears, if any. Pay all income taxes, penalties and interest, if any. Pay all claims for the cost of confinement by a correctional facility, if any. Pay all claims for repayment to Medicare, etc. by state agencies, if necessary. Once you are ready to distribute to the beneficiaries or heirs, contact the attorney they can prepare Receipts and Waivers for all parties to sign upon receipt of their checks. Distribute the estate funds to the heirs and have each heir sign a statement of receipt. 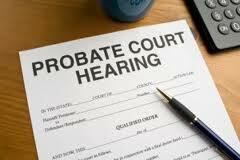 Submit a Final Account Affidavit to close the estate. This starts the statute of limitations running for four years. Congratulations! Now you are done! 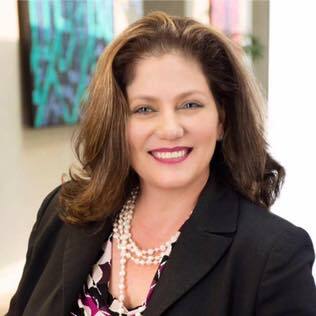 This entry was posted in Probate and tagged decker-jones, estate planning, executor duties, Fort Worth, independent executor, patricia cole, probate, probating estate, texas, texas probate. Fraud does not protect parental rights!